I wrote this piece for the Valley Voice column in The Malay Mail which appeared on 10th April 1995. 17 years down the road, I am just wondering how much has changed. or how many things are still relevant. Have we moved forward or still making the same mistakes and the game has not improved either. You be the judge of it. 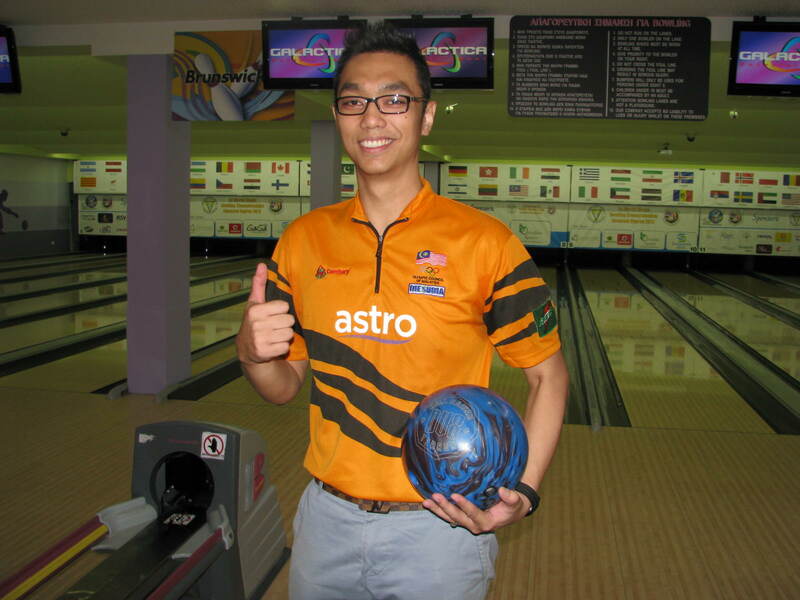 MUHAMAD SYAFIQ RIDHWAN ABDUL MALEK and Esther Cheah have qualified for the quarter-finals of the inaugural World Singles Bowling Championship Galactica Bowling Centre in Cyprus. Zulmazaran Zulkilfi missed out when he lost in the Final Step 2 (round two), while Jacqualine Sijore was knocked out in the Final Step 1. The 24-year-old Muhamad Syafiq from Kuala Lumpur, the top seed will face ninth seed Andres Gomez of Colombia Esther, the 12th seed, will bowl against fourth seeded American Shannon O’Keefe. Syafiq who had a bye to the second round, defeated veteran PBA bowler, Tore Togersen, the 16th seed 278-195; 220-228; 258-277; 238-191 and 246-194 in the best-of-five games series. Andres defeated Falah Yusuf from Bahrain in the first round before getting past Kuwait’s Mohammed Kamel in the second round. Zulmazran the 21st seed, started on a grand note to beat Finland’s 12th seed Kim Lehtonen 299-217; 205-236; 241-248; 246-235; 224-215 to move to the second round. He then faced fifth seeded American Chris Barnes but lost 279-224;207-228; 278-258; 256 -277-and 236-259. Esther defeated Ireland’s Hannah Cullen in her first round match 253-198; 233-166; 237-207 to move to the second round against Karen Marcano, the fifth seed from Venezuela. Esther disposed of Karen 191-233; 215-206; 243-188 and 206-176 to move to the quarterfinals. A victory for Esther will see her bowl No. 1 seed, Kelly Kulick from USA or Joline Persson-Planefors from Sweden from the other top half quarter-finals tie. If Syafiq wins, he will face the either Barnes or Khaled Al-Dossary from Qatar. The quarterfinals will continued to be played over a best of five games, before it will be over one game for semi-finals and final. THE Malaysian bowling team celebrated their Sunday in contrasting fashion at the Galactica Bowling Centre in Cyprus at the end of the first round of 12 games at the World Singles Championship. Muhamad Syafiq Ridhwan Abdul Malek (picture), was in great form to finish as top seed at the end of the second block of six games to earn an automatic bye to the Final Step Two. Esther Cheah, Jacqueline Sijore and Zulmazran Zulkilfi, also qualified for the Final Step rounds, but have to bowl in the Final Step One round. Esther, who was among the top nine, slid down to 12th while Jacqueline finished 13th. Zulmazran, on the other hand, finished 21st. The first 24 bowlers after the first round of 12 games qualify for the next round, but the top nine earn a bye to Final Step Two. Bowlers placed 10th to 24th bowl in the Final Step One in a best-of-five matches in a predefined bracket before the winners move to the Final Step Two. The best-of-five matches format will be used until the quarter-finals. The semi-finals and final will be played over one game. Syafiq gave a scintillating performance to knockdown 236 in the opening game yesterday, to follow with lines of 258, 215, 247, 211 & 227 for a 1,394 series total and a grand total of 2,773. He was the talk of the town with the media all eager to speak to him (below). He will now bowl the winner of Romania’s Catalin Gheorghe (17th) against Denmark’s Thomas Larsen (18th). A win over Gheorghe or Larsen will earn Syafiq a quarter-finals berth. Zulmazran, who finished with 2,357, will have a tough opponent in his Step One round match against 12th placed bowler Finland’s Kimmo Lhtonen. Esther, who finished second block with a subdued display with lines of 220, 193, 199, 203, 199 and 221 for a combined 2,530 total, will be up against 21st placed Hannah Cullen of Ireland. Jacqueline gave a much improved performance in her second block despite starting with 197. She went on to fire lines of 255, 203, 234, 190 and 200 for a commendable 1,279 series and a grand total of 2522. She faces Canada’s Isabelle Rioux, who was 20th. If Esther and Jacqueline win their respective ties, they will face each other in the next round. American Kelly Kulick topped the women’s round, followed by Russia’s Alena Korobkvoca, Sweden’s Rebecka Larsen and another American, Shannon O’Keefee. The knockout stage is going to be a different ball game where quick reactions to make line and ball adjustments will be required besides a strong mental state to progress further. so........it is time to shut UP! The Malay Mail of late has been getting quite a bit of flak and it looks like it is not going to stop. What with circulation dropping and having reached alarming numbers, many journalists jumping ship, many still there but are a discontended lot and the list goes on. To make matters worse, an internal memo from the Editor-At-Large, Frankie D'Cruz, which was sent to me by a concerned party in The Malay Mail, further questions the quality of the Paper. The email is reproduced below on an article on Tuesday, which was full of mistakes. With such deplorable standards, it is little wonder the circulation is dropping everyday. To top it all, it is learnt that there has been a recent intake to beef up the paper with top notch journalists to check the slide on the quality. But if the mistakes are still occurring, then one wonders if intake served its purpose at all. Yes, there are mistakes found in all newspapers these days as the quality of journalism has certainly taken a dip. And sometimes mistakes happen because time constraints, pressure and short of staff. 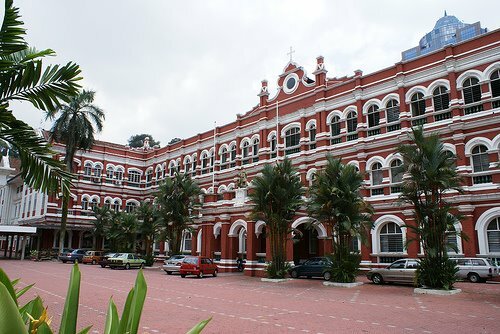 But to find an article littered with mistakes, is certainly not acceptable, especially with a newspaper like The Malay Mail which has a rich history, having been established in 1896! 1. It’s only a 14-min trailer, it’s not known if the film has been completed. Video clip would be appropriate. Doesn’t this cancel off the subhead? Join me on a quest to conquer English. TWO weeks after the country witnessed the most divisive independence day celebrations in recent history, politicians from both divide sides of the divide came together in one voice, on Malaysia day (Day) condemning YouTube’s refusal to remove the a short film entitled 'Innocence of Muslims'. The 14 minute-clip, which disparages and insults Islam and Prophet Muhammad, was uploaded on YouTube in July 2012 and further gained notoriety when the trailer was dubbed in Arabic and broadcasted broadcast on Egyptian television in September. The broadcast has led to violent protests across the Middle East which culminated into in the killing of the US ambassador in Libya, Chris Stevens, the first killing of a US ambassador in more than 30 years. Stand by, this is where we CONQUER! In conquering concurring with this, Rais' deputy minister deputy Datuk Maglin D'Cruz strongly reiterated that the video should be removed with “immediate effect”. “I strongly believe that the video should be removed with immediate effect. Those who were responsible for putting it n cyberspace do not represent any group and clearly their intent is to create animosity among religions of the world which I strong strongly condemn and rebuke,” he told The Malay Mail. Higher Education Deputy Minister Datuk Saifuddin Abdullah (pic) added that it was saddening that such religious hatred was still being practiced practised these days. “We are supposed to be more educated and understanding and able to respect each others other's religions. Instead of spewing hate, we should be talking about how people of different religions can help each other. We should be going on that path. “I think times like this show that there are limits to partisan politics. If we can unite on things that are happening overseas, hopefully we can continue this with local issues,” he said. 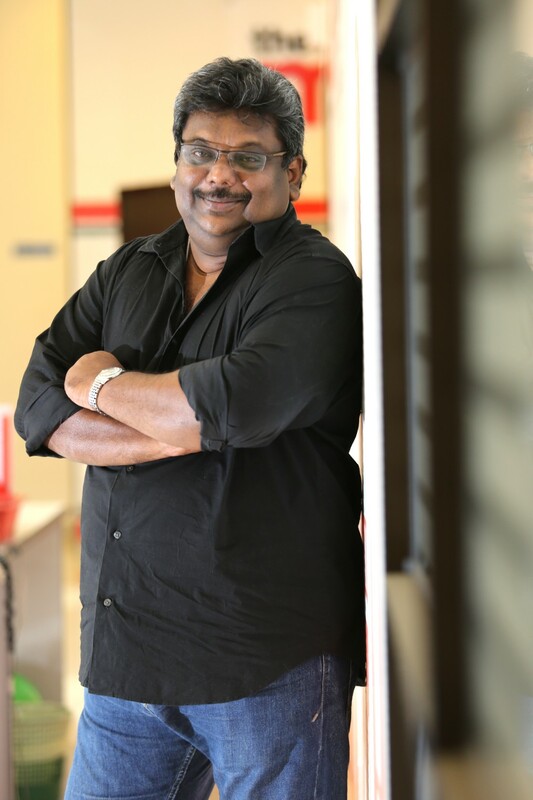 “I also disapprove with the violent and aggressive protests against the film film-makers. It is important for us to show our protest in an appropriate manner, less lest we will be we be equal to the people who made the film. By all means go out and protest but don’t resort to violence,” he said. Earlier Umno Youth chief Khairy Jamaludin said the party’s wing would hold a major protest against the film film makers this Friday. “This protest is being held regardless of political differences and hopefully becomes ???? a platform for Muslims to voice out to the world that this irresponsible and insulting act against Islam and the Prophet Muhammad will not be taken lightly. “Umno Youth welcomes the PAS Youth Assembly’s participation in this protest. This is a universal problem which needs to be addressed immediately, “ he told reporters at an Umno delegates meeting at Permatang Pauh. “I personally can I be anything but personal? think that the film is utterly offensive and I believe YouTube has certain policies governing the kind of material uploaded. YouTube must justify whether the film still falls within the tolerated level of free speech,” he said. PAS national unity bureau chairman Dr Mujahid Yusof Rawa said there were limits to freedom of speech. “It is a question whether airing it on YouTube would trigger more violence or not. Even without being aired, the film has already angered the Muslim world. Freedom cannot infringe the sensitivity of others especially religious issues ???? and must be under the protection of the bigger interest ??? 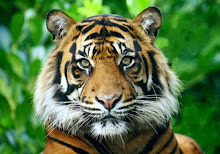 ?,” he said. PKR director of strategy Rafizi Ramli added that YouTube had a history of removing clips which were deemed offensive and stressed that the short film should not be any different. However, Rafizi warned the government to not not to use this case as just cause for future censorship of online contents. The video sharing website has placed similar temporary blocks in Egypt and Libya. According to Google’s recent transparency report, the South Korean government has made the most requests for removal of contents in Youtube. From July to December 2011 it had asked Google for a 51 ??? ?removals, followed by India, which came in second with 43 requests with US with 38. For the same period, Malaysia had made less than 10 requests for content removal in Google products. CLOSE TO A STAGGERING 30 ERRORS IN ONE STORY! STAND UP THE ONE/S WHO CONQUERED ENGLISH! Where is the comradeship among the Media fratenity? Media rivalry is fine to see newspaper organisations competing against each other to present the best news and scoops. But when the Media fraternity gathers together to honour journalists for their expertise, skills or their stories, I strongly feel that we should be one. After all, we are acknowledging our own kind. And even more so when it is organised by the National Press Club (NPC), our very own club. 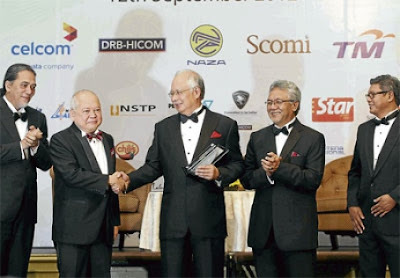 But newspapers who carried news today of the awards given by our Prime Minister Datuk Seri Najib Tun Razak on Wednesday night, saw them highlighting their respective awards. Nothing wrong with that. After all you need to blow your own trumpet. But what I cannot understand is that none carried the full list and conveniently left out winners from their rival newspapers. This is so low down because the fundamentals of news reporting has been ignored - to give news as it is and in full. What is wrong with printing the full list so that the public is informed of the best in the industry. Besides this awards is unique and special because for this awards, the candidates were nominated by their peers. It is always good to see individuals nominating journalists from rival organisations, and this is what makes the NPC Awards all the more credible and rewarding. And yet when it came to announcing the winners, a full list was not published! In fact, I even think that the story of the awards deserved bigger play up in the respective newspapers. I really felt sad for Datuk Syed Nadzri Syed Harun, the Group Editor of the New Straits Times and my colleague during his days when he covered sports when he was in Penang, who received the NPC-TM Lifetime Achievement award. His own newspaper run a single column story. Yes they had a four column picture, but Syed deserved better, even though he himself is a low profile person and would not have wanted the publicity or even instructed that only a single column story see print. But he was news of the day and for all his contributions, he should have been treated with better honour and respect. The Media fraternity has to come together and be a family when it is about themselves and throw out of the window all the rivalry on these occasions. FOOTNOTE: NPC organisers of the award should have been more considerate when coming to the award ceremony itself. It could have certainly been done better. To have the Prime Minister Datuk Seri Najib Tun Razak on stage to give away 15 awards for such a longtime and having him to sit and stand on the stage on so many occasions was certainly inappropriate. The organisers could have save a lot of time displaying all the nominees for the various categories on big screen probably during dinner and just give away the awards later. Citation for Datuk Syed and winner of the NPC-Ambank Media Legend award to Datuk Abdullah Mohamad could have been exception to be read before the award was given. But Kudos to the Prime Minister, he stood through the ordeal with a smile! Mind you he had another two functions to attend after the NPC awards ceremony. The winner of each category will be announced at the gala. Winners will receive RM5,000 and a plaque. The winner will receive RM15,000, a Malaysian Airlines flight ticket and a plaque. FORMER AFC and OCM president Tan Sri Hamzah Abu Samah, 88, passed away at 3.30pm today. Hamzah also held the Sports Minister’s portfolio during an illustrious career that led him to the hallowed hallways of FIFA and IOC. Born in Pekan on Jan 5, 1924, Hamzah studied at MCKK before completing his studies at London’s Gray’s Inn (1953). In 1967, he entered the world of politics. He was elected MP for Raub and was subsequently appointed Deputy Home Minister (1967-1969). His star shone brightly and he went on to assume various positions in the Cabinet until he decided to call it a day in 1980. He was Minister of Information (1969-71), Minister of Culture Youth and Sports (1971-73), Minister of Defence (1973-74), Minister of Commerce and Industry (1974-78) and finally Minister of Law (Menteri Undang2 dan Peguam Negara) (1978-80). 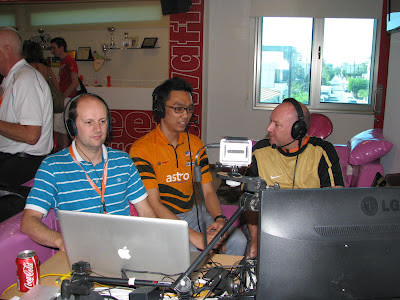 During his stint as Sports Minister, Malaysia qualified for the Olympics football competition for the very first time. It was a historic moment for Malaysia which is still talked about to this day. The 1972 Munich Games was the only time Malaysia actually played in the Olympics. Although we qualified for the 1980 Moscow Games, Malaysia joined the US-led boycott and missed the Games. Hamzah’s stint as Sports Minister certainly created a huge impact on him as he later continued to serve sports in various capacities and different organisations. He was OCM president from 1976 and was an IOC member from 1978. He was a senior vice-president in the Olympic Council of Asia in 1982 and was also the president of the SEA Games Federation in 1977. He was also the FA of Malaysia president from 1984 to 1988. Hamzah will probably best be remembered by the Asian football fraternity for his tenure as the Asian Football Confederation (AFC) president from 1978 to 1994. He was FIFA vice-president from 1982 to 1990. He was involved in several World Cup committees, including in 1978, 1982 and 1986. 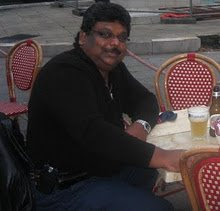 On the local front, apart from his posts in FAM and OCM, Hamzah was also president of the Malaysian Cricket Association and the Malaysian Taekwando Association. He was also the vice-president of the Commonwealth Games Federation and played a part in bring the Games to Malaysia in 1998. Through his passion, dedication and untiring efforts in world sports, Hamzah brought honour and glory to the country. 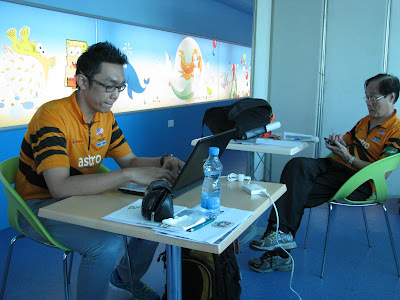 His dynamic leadership in many ways helped pave the way for other Malaysian officials to get involved in world sports.